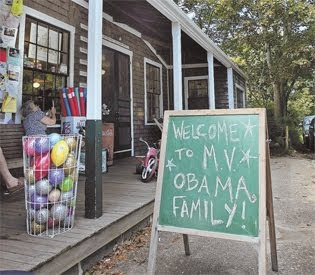 It's Obama fever in Massachusetts, especially on Martha's Vineyard where the First Family is currently! They arrived this weekend, looking chic and happy. 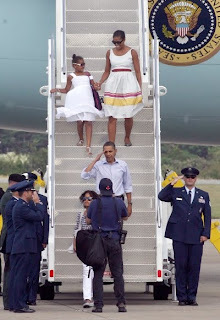 Michelle's dress is by Sophie Theallet. Sascha and Malia are fashionistas in the making already. 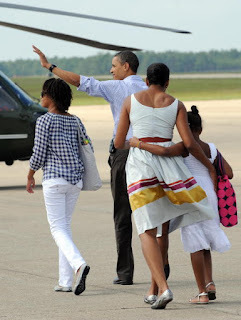 If you love reading about Michelle Obama's fashion choices, check out this blog, Mrs.O. 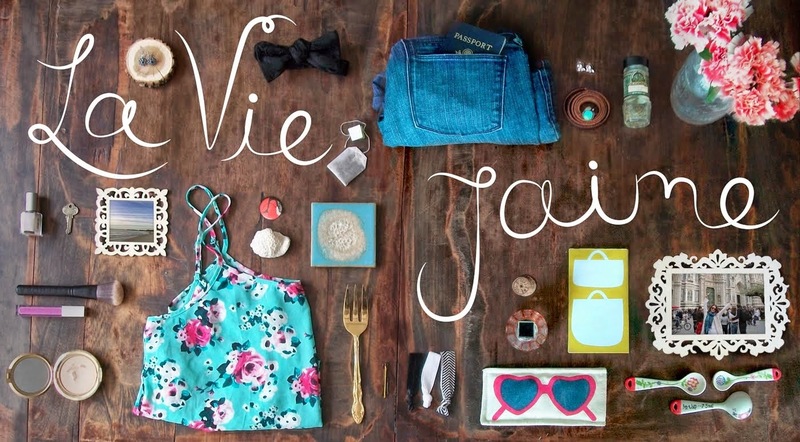 PS: Just signed up for Ideeli, which offers discounts on clothing, jewelry, shoes, bags, home items, etc. Some great upcoming sales include Members Only, Anne Klein, and Marc Jacobs! Sign up through invite only by clicking here. Oh I adore Martha's Vineyard! So fun! Those are great photos of the First Family! I love that Michelle Obama loves J Crew. LUCKY OBAMAS! I haven't been to Martha's Vineyard in 7 years! Every Summer I say I'm going but never make it back! This is such a Fashionably Fab Family! I luv their STYLE!